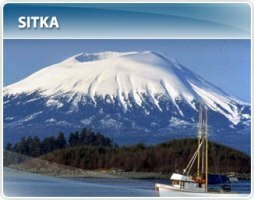 Discover a fusion of Native American and Russian traditions in this charming sea port which is always full of surprises. Just when you think you have seen it all you are bound to stumble across something here that will catch your attention from the great museums and protected waters to the National Historical Park, old churches and cathedrals’ offering glimpses into the past and present. Looking for something a little different, try a custom built jet tour down winding rivers and amazing scenery.